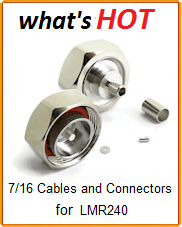 The swept right angle adapter utilizes a one piece center conductor that is curved within a radius tube housing. 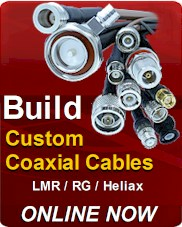 The process ensures a true coaxial form from end to end. The radius design configuration allowing the adapter tor perform at higher frequencies and reduces shock or vibration failures. Field Components Swept Right Angle adapters are an improved performance of a standard right angle adapter. These designs are also available in other configurations such as panel mounts, Field Replaceables, Cable Connectors, etc. 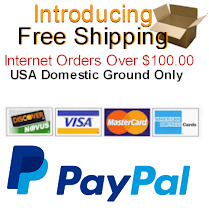 to fit your exact desired application needs. Each Unidapt fitting has a common connector end and a universal adapter end. Simply choose the two common connector ends you need, and screw them together with the universal adapter. It's so easy. That's why technicians love it! 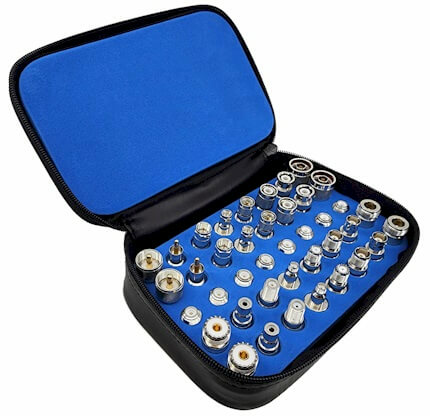 Our ingenious adapter kits let you mix and match any 2 male or female coaxial fittings. Build the perfect adapter or cable assembly for the job Male-to-Male, Male-to-Female, or Female-to-Female. UNIDAPT Kit, Uni Adapter Our Universal Adapter is the Key. Each UNIDAPT fitting has a common connector end and a universal adapter end.